Tapping into a collective sales voice involves unifying your sales team under a common understanding, a sense of purpose, and a similar mindset. Your sales team is comprised of a variety of personalities, and each sales person may approach leads and customers in completely different fashions. In fact, these differences are what can help lasso in a wide range of customers to begin with! While harnessing the power of personality within each employee is an important aspect to reaping the most benefits from your sales team, it’s also important to tap into the collective sales voice of your company as a whole. After all, your sales team is a team, and while there may be small individual differences between each person, the collective team must be unified in voice. Click here to read more about creating a sales harmony. One of the best parts about hiring different people instead of a carbon copy of the same person is their ability to each bring something unique to the table. Under your company and brand, they’re then unified in voice and purpose. This collective sales voice is what forms the basis for your employees to operate within, giving them a solid foundation from which to build their own personal sales ‘house’, so to speak, wherein they can invite leads and customers. But what exactly comprises a unified sales voice? Common Understanding: Do your employees all understand the ultimate goals? Or are they working against one another to achieve their own personal needs? While each salesperson is likely to want to outperform their peers, they must all have a common understanding of the larger picture and the company goals at hand. Sense of Purpose: The unified voice of your sales team is likely to feel more cohesive when given a sense of purpose. This could come in the form of a goal or benchmark...or even a deadline! Giving your team a purpose can help bring them together to start speaking in harmony. Similar Mindset: While each employee is different, they should all have the same type of mindset, which is to sell products and improve the company as a whole. If someone’s work ethic or ambition doesn’t quite match the team, then it can break up the collective sales voice into a mumbled mess. Tapping into a collective sales voice involves unifying your sales team under a common understanding, a sense of purpose, and a similar mindset. By capitalizing on personality differences while bringing those differences together under one voice, your company is likely to feel the benefits of a stronger team and, thus, stronger company culture. Similarly, when customers see a team that has a collective sales voice, they’re also more likely to trust your company. 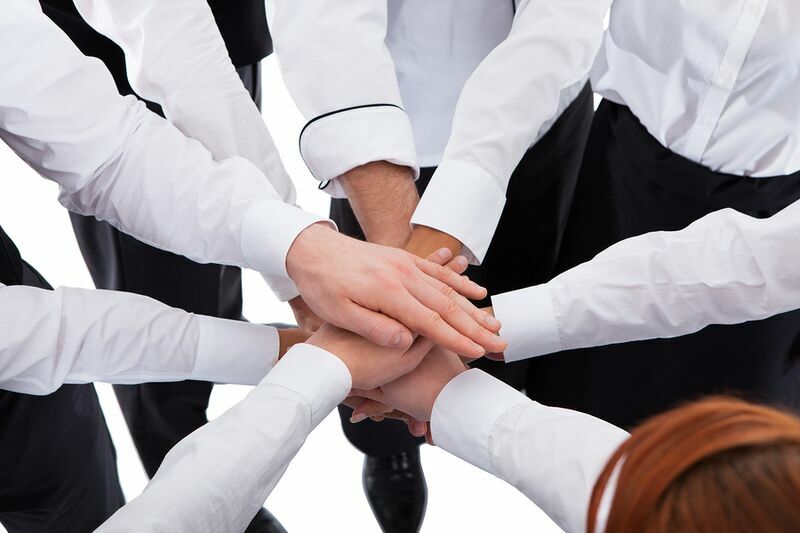 When salespeople work together in a unified team, customers can sense the unity and the resulting authenticity.